GCD(a, b, c) = GCD(a, GCD(b, c)) = GCD(GCD(a, b), c) = GCD(GCD(a, c), b). 1071 = 2 × 462 + 147. 462 = 3 × 147 + 21. 147 = 7 × 21 + 0.
b(x) = x4 + 8x3 + 12x2 + 17x + 6 = (x2 + 7x + 3)(x2 + x + 2). sa + tb = mg.
^ Godfried Toussaint, "The Euclidean algorithm generates traditional musical rhythms," Proceedings of BRIDGES: Mathematical Connections in Art, Music, and Science, Banff, Alberta, Canada, July 31 to August 3, 2005, pp. 47–56. ^ Grossman JW. Discrete Mathematics. New York: Macmillan. 1990: 213. ISBN 0-02-348331-8. ^ 7.0 7.1 Schroeder, pp. 21–22. ^ Ogilvy CS, Anderson JT. Excursions in number theory. New York: Oxford University Press. 1966: 27–29. LCCN 66-14484. ^ 10.0 10.1 Schroeder, pp. 216–219. ^ 11.0 11.1 Leveque, p. 33. ^ Anderson JA. Discrete Mathematics with Combinatorics. Upper Saddle River, NJ: Prentice Hall. 2001: 165–223. ISBN 0-13-086998-8. ^ Anderson JA. Discrete Mathematics with Combinatorics. Upper Saddle River, NJ: Prentice Hall. 2001: 109–119. ISBN 0-13-086998-8. ^ 20.0 20.1 Stark, pp. 16–20. ^ Lovász L, Pelikán J, Vesztergombi K. Discrete Mathematics: Elementary and Beyond. New York: Springer-Verlag. 2003: 100–101. ISBN 0-387-95584-4. 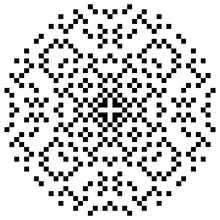 ^ Kimberling C. A Visual Euclidean Algorithm. Mathematics Teacher. 1983, 76: 108–109. ^ 25.0 25.1 Cohn, pp. 104–110. ^ 29.0 29.1 Ore, p. 43. ^ 30.0 30.1 Stewart BM. Theory of Numbers 2nd. New York: Macmillan. 1964: 43–44. LCCN 64-10964. ^ 31.0 31.1 高德纳, p. 318. ^ 32.0 32.1 Weil A. Number Theory. Boston: Birkhäuser. 1983: 4–6. ISBN 0-8176-3141-0. ^ Jones A. Greek mathematics to AD 300. Companion encyclopedia of the history and philosophy of the mathematical sciences. New York: Routledge. 1994: 46–48. ISBN 0-415-09238-8. ^ van der Waerden BL. Science Awakening. translated by Arnold Dresden. Groningen: P. Noordhoff Ltd. 1954: 114–115. ^ von Fritz K. The Discovery of Incommensurability by Hippasus of Metapontum. Ann. Math. 1945, 46: 242–264. doi:10.2307/1969021. ^ Heath TL. Mathematics in Aristotle. Oxford Press. 1949: 80–83. ^ Fowler DH. The Mathematics of Plato's Academy: A New Reconstruction. Oxford: Oxford University Press. 1987: 31–66. ISBN 0-19-853912-6. ^ Becker O. Eudoxus-Studien I. Eine voreuklidische Proportionslehre und ihre Spuren bei Aristoteles und Euklid. Quellen und Studien zur Geschichte der Mathematik B. 1933, 2: 311–333. ^ 39.0 39.1 Stillwell, p. 31. ^ 47.0 47.1 Gauss CF. Theoria residuorum biquadraticorum. Comm. Soc. Reg. Sci. Gött. Rec. 1832, 4. See also Werke, 2:67–148. ^ Dedekind R. Supplement XI. (编) PGL 狄利克雷. Vorlesungen über Zahlentheorie. 1894. ^ Stillwell J. Elements of Number Theory. New York: Springer-Verlag. 2003: 41–42. ISBN 0-387-95587-9. ^ Sturm C. Mémoire sur la résolution des équations numériques. Bull. des sciences de Férussac. 1829, 11: 419–422. ^ 埃里克·韦斯坦因. 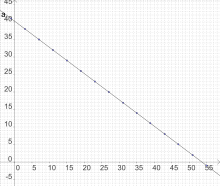 algorithm.html Integer Relation 请检查|url=值 (帮助). MathWorld. ^ Cole AJ, Davie AJT. A game based on the Euclidean algorithm and a winning strategy for it. Math. Gaz. 1969, 53: 354–357. doi:10.2307/3612461. ^ Spitznagel EL. Properties of a game based on Euclid's algorithm. Math. Mag. 1973, 46: 87–92. ^ Roberts J. Elementary Number Theory: A Problem Oriented Approach. Cambridge, MA: MIT Press. 1977: 1–8. ISBN 0-262-68028-9. ^ Jones GA, Jones JM. Bezout's Identity. Elementary Number Theory. New York: Springer-Verlag. 1998: 7–11. ^ 65.0 65.1 Koshy T. Elementary Number Theory with Applications. Burlington, MA: Harcourt/Academic Press. 2002: 167–169. ISBN 0-12-421171-2. ^ Bach E, Shallit J. Algorithmic number theory. Cambridge, MA: MIT Press. 1996: 70–73. ISBN 0-262-02405-5. ^ 68.0 68.1 Ore, p. 44. ^ Vinogradov IM. Elements of Number Theory. New York: Dover. 1954: 3–13. ^ Crandall R, Pomerance C. Prime Numbers: A Computational Perspective 1st. New York: Springer-Verlag. 2001: 225–349. ISBN 0-387-94777-9. ^ Shor PW. Polynomial-Time Algorithms for Prime Factorization and Discrete Logarithms on a Quantum Computer. SIAM J. Sci. Statist. Comput. 1997, 26: 1484. ^ Dixon JD. Asymptotically fast factorization of integers. Math. Comput. 1981, 36: 255–260. doi:10.2307/2007743. ^ Lenstra Jr. HW. Factoring integers with elliptic curves. Annals of Mathematics. 1987, 126: 649–673. doi:10.2307/1971363. ^ 加百利·拉梅. Note sur la limite du nombre des divisions dans la recherche du plus grand commun diviseur entre deux nombres entiers. Comptes Rendus Acad. Sci. 1844, 19: 867–870. ^ Grossman H. On the Number of Divisions in Finding a G.C.D.. The American Mathematical Monthly. 1924, 31: 443. doi:10.2307/2298146. ^ Honsberger R. Mathematical Gems II. The Mathematical Association of America. 1976: 54–57. ISBN 0-88385-302-7. ^ 92.0 92.1 92.2 高德纳, p. 344. ^ 94.0 94.1 高德纳, p. 343. ^ Tonkov T. On the average length of finite continued fractions. Acta arithmetica. 1974, 26: 47–57. ^ Porter JW. On a Theorem of Heilbronn. Mathematika. 1975, 22: 20–28. ^ 高德纳 DE. Evaluation of Porter's Constant. Computers and Mathematics with Applications. 1976, 2: 137–139. doi:10.1016/0898-1221(76)90025-0. ^ Dixon JD. The Number of Steps in the Euclidean Algorithm. J. Number Theory. 1970, 2: 414–422. doi:10.1016/0022-314X(70)90044-2. ^ Heilbronn HA. On the Average Length of a Class of Finite Continued Fractions. (编) Paul Turán. Number Theory and Analysis. New York: Plenum. 1969: 87–96. LCCN 68-8991. ^ 106.0 106.1 Norton GH. On the Asymptotic Analysis of the Euclidean Algorithm. Journal of Symbolic Computation. 1990, 10: 53–58. doi:10.1016/S0747-7171(08)80036-3. ^ Wagon S. Mathematica in Action. New York: Springer-Verlag. 1999: 335–336. ISBN 0-387-98252-3. ^ Cohen, pp. 14–15, 17–18. ^ Stein J. Computational problems associated with Racah algebra. Journal of Computational Physics. 1967, 1: 397–405. doi:10.1016/0021-9991(67)90047-2. ^ 116.0 116.1 Crandall R, Pomerance C. Prime Numbers: A Computational Perspective 1st. New York: Springer-Verlag. 2001: 77–79, 81–85, 425–431. ISBN 0-387-94777-9. ^ Lehmer DH. Euclid's Algorithm for Large Numbers. The American Mathematical Monthly. 1938, 45: 227–233. doi:10.2307/2302607. ^ Sorenson J. Two fast GCD algorithms. J. Algorithms. 1994, 16: 110–144. doi:10.1006/jagm.1994.1006. ^ Weber K. The accelerated GCD algorithm. ACM Trans. Math. Soft. 1995, 21: 111–122. doi:10.1145/200979.201042. ^ Aho A, Hopcroft J, Ullman J. The Design and Analysis of Computer Algorithms. New York: Addison–Wesley. 1974: 300–310. ^ Schönhage A. Schnelle Berechnung von Kettenbruchentwicklungen. Acta Informatica. 1971, 1: 139–144. doi:10.1007/BF00289520. ^ Cesari G. Parallel implementation of Schönhage's integer GCD algorithm. (编) G. Buhler. Algorithmic Number Theory: Proc. ANTS-III, Portland, OR. New York: Springer-Verlag. 1998: 64–76. Volume 1423 in Lecture notes in Computer Science. ^ Stehlé D, Zimmermann P. Gal’s accurate tables method revisited. Proceedings of the 17th IEEE Symposium on Computer Arithmetic (ARITH-17). Los Alamitos, CA: IEEE Computer Society Press. 2005. ^ Möller N. On Schönhage's algorithm and subquadratic integer gcd computation. Mathematics of Computation. 2008, 77: 589–607. doi:10.1090/S0025-5718-07-02017-0. ^ Boyer CB, Merzbach UC. A History of Mathematics 2nd. New York: Wiley. 1991: 116–117. ISBN 0-471-54397-7. ^ Cajori F. A History of Mathematics. New York: Macmillan. 1894: 70. ^ 128.0 128.1 塞尔日·兰. Algebra 2nd. Menlo Park, CA: Addison–Wesley. 1984: 190–194. ISBN 0-201-05487-6. ^ 131.0 131.1 131.2 Stillwell J. Elements of Number Theory. New York: Springer-Verlag. 2003: 101–116. ISBN 0-387-95587-9. ^ Lamé G. Mémoire sur la résolution, en nombres complexes, de l'équation An + Bn + Cn = 0. J. Math. Pures Appl. 1847, 12: 172–184. ^ Stillwell J. Elements of Number Theory. New York: Springer-Verlag. 2003: 151–152. ISBN 0-387-95587-9. ^ John Horton Conway. An enumeration of knots and links, and some of their algebraic properties. Computational Problems in Abstract Algebra (Proc. Conf., Oxford, 1967). Pergamon. 1970: 329–358. （英文） Cohen H. A Course in Computational Algebraic Number Theory. New York: Springer-Verlag. 1993. ISBN 0-387-55640-0. （英文） Cohn H. Advanced Number Theory. New York: Dover. 1962. ISBN 0-486-64023-X. （英文） Cormen TH, Leiserson CE, Rivest RL, and Stein C. Introduction to Algorithms 2nd. MIT Press and McGraw–Hill. 2001. ISBN 0262032937. （英文） Cox D, Little J, and O'Shea D. Ideals, Varieties, and Algorithms: An Introduction to Computational Algebraic Geometry and Commutative Algebra 2nd. Springer-Verlag. 1997. ISBN 0-387-94680-2. （英文） 狄利克雷. Richard Dedekind, 编. Vorlesungen über Zahlentheorie. Braunschweig: Vieweg. 1894. （英文） 戈弗雷·哈罗德·哈代, Wright EM [revised by D.R. Heath-Brown and J.H. Silverman]. An Introduction to the Theory of Numbers 6th. Oxford: Clarendon Press. 2008. ISBN 0199219869. （英文） 高德纳. The Art of Computer Programming（计算机程序设计艺术）, Volume 2: Seminumerical Algorithms 3rd. Addison–Wesley. 1997. ISBN 0201896842. （英文） LeVeque WJ. Fundamentals of Number Theory. New York: Dover. 1977. ISBN 0-486-68906-9. （英文） Mollin RA. Fundamental Number Theory with Applications 2nd. Boca Raton: Chapman & Hall/CRC. 2008. ISBN 9781420066593. （英文） Ore Ø. Number Theory and Its History. New York: McGraw–Hill. 1948. ISBN 0486656209. （英文） Rosen KH. Elementary Number Theory and its Applications 4th. Reading, MA: Addison–Wesley. 2000. ISBN 0201870738. （英文） Schroeder MR. Number Theory in Science and Communication 4th. Springer-Verlag. 2005. ISBN 0387158006. （英文） Stark H. An Introduction to Number Theory. MIT Press. 1978. ISBN 0-262-69060-8. （英文） Stillwell J. Numbers and Geometry. New York: Springer-Verlag. 1997. ISBN 0-387-98289-2. （英文） Tattersall JJ. Elementary number theory in nine chapters. Cambridge: Cambridge University Press. 2005. ISBN 9780521850148. （英文） Uspensky JV; Heaslet MA. Elementary Number Theory. New York: McGraw–Hill. 1939. ISBN 0070667500.